After presenting so many feature-rich products with competitive features, Nikon finally launched its D500 model that is loaded with 20.9 MP CMOS sensor that supports DX-format. Note that this camera unit works without optical low pass filter and is powered by EXPEED 5 processor. This camera unit provides professional class performance with easy handling and interactive design. Nikon Z6 and Z7 Full-Frame Mirrorless Cameras: Everything you need to know. Check it out! Nikon D500 ensures sharper images with its high-quality lens while ensuring perfect distribution of colour and tones. Even if you operate this camera at high ISO range, it offers low noise performance for variable light settings. Nikon D500 also supports 4K UHD videos and allows easy sharing via built-in Wi-Fi, Bluetooth, and NFC connection. Ensures impressive quality of JPEG and RAW images. Incredible autofocus performance that supports 10fps frame rate. Ergonomic design that offers easy handling. It supports 4K video quality with eye-catching results. AF point selection becomes faster with a joystick. Easy selection of AF point mode with handy buttons. Fast and impactful touchscreen design. Advanced flicker reduction mode that ensures better consistency for all light conditions. Wide ISO range to support crisp and sharp details. The SnapBridge technology demands some improvement. Video tools of Nikon D500 are limited. Autofocus in case of videos is prone to re-focus and wobble. Offers high range sharpening for JPEG noisy images. Does not support USB charging feature. 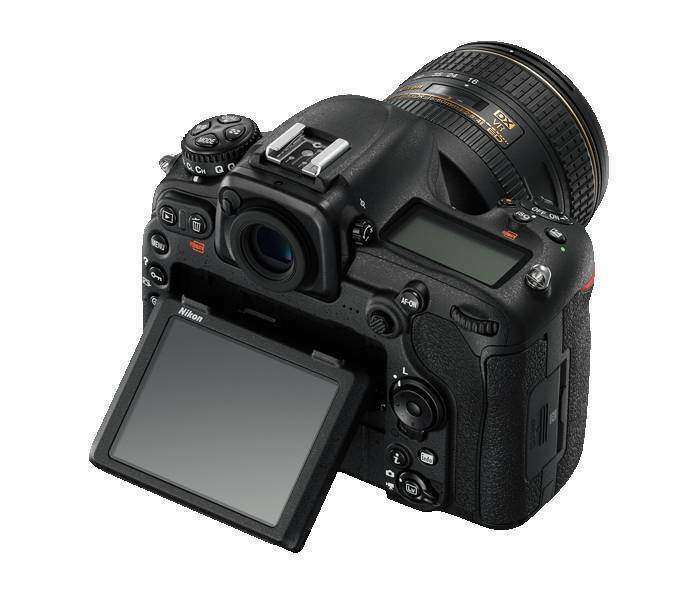 Nikon D500 is rated high for its fine ergonomics and substantial handgrip. Users find its controls easy to handle with fingertips and the buttons are also customizable to ensure well-controlled operation. Even beginners can make easy adjustments with its dial type control buttons. Nikon D500 is loaded with a 20.9MP CMOS DX sensor that ensures sharp images even without optical low pass filter. Further, EXPEED 5 processor makes it suitable for processing fine images that are well balanced in terms of colours and tones. If we talk about ISO range, Nikon D500 offers it can be adjusted anywhere between ISO 100 and ISO 51,200. The advanced metering system is one of the best additions to Nikon D500 that is supported by the 180k pixel RGB type metering sensor. You will be glad to know that Nikon D500 is designed with Advanced Scene Recognition System and along with this the White Balance feature helps to adjust the images to the finest quality. This DSLR camera unit is loaded with continuous high-speed shooting abilities that are supporting by buffer depth. It can capture high-resolution images at 10 fps frame rate. Also, Nikon D500 can capture 14-bit Raw images in 200 lossless compressed format, as well as 79 uncompressed 14-bit RAW files, are developed with 10fps frame rate. The shutter speed is designed to be 1/8000s; however, the durability of the shutter for Nikon D500 is rated to be 200,000 cycles. Multi-CAM 20K autofocus system makes it the best choice for advanced users as it is supported by 153 focus points where 99 are cross-type sensors and 15 sensors support f/8 autofocusing ability. Note that Nikon D500 is designed with awesome weather sealing so that users can capture images during their adventure tour. This lightweight camera unit can capture images in a wide range of light conditions. If we talk about the viewfinder ability of Nikon D500, it is full 1.0x that is much improved as compared to its predecessors. You will definitely love to use its high-resolution type touch screen during video recording. Note that Nikon D500 supports 4K UHD recording at 30 fps frame rate. 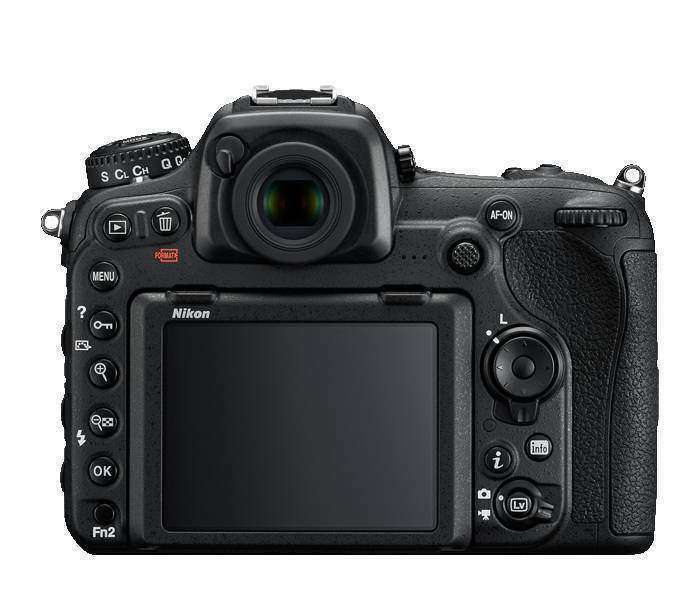 Other movie features added to this advanced DSLR camera include Electronic Vibration Reduction, Power Aperture Control, Zebra Stripes, Smooth Exposure, Flat Picture Control and External Recorder. You will definitely love to shoot videos in Live View mode where touch sensitivity makes things easier to control. At the same time, screen tilting feature assists in easy shooting from different angles. It is considered the best choice for sports photography and action recording. You can share captured images on social media by connecting your camera through Wi-Fi, NFC or Bluetooth. Nikon D500 also supports SnapBridge app so that you can maintain a continuous low power remote connection between your smartphone and camera. 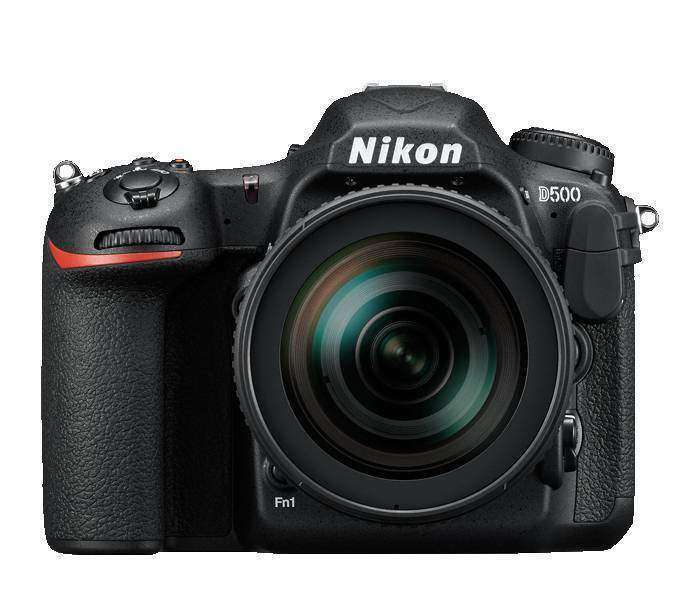 Nikon D500 derives power from rechargeable Lithium-Ion Battery that can support 1240 shots with a single charge. Specifications in details follow the link. 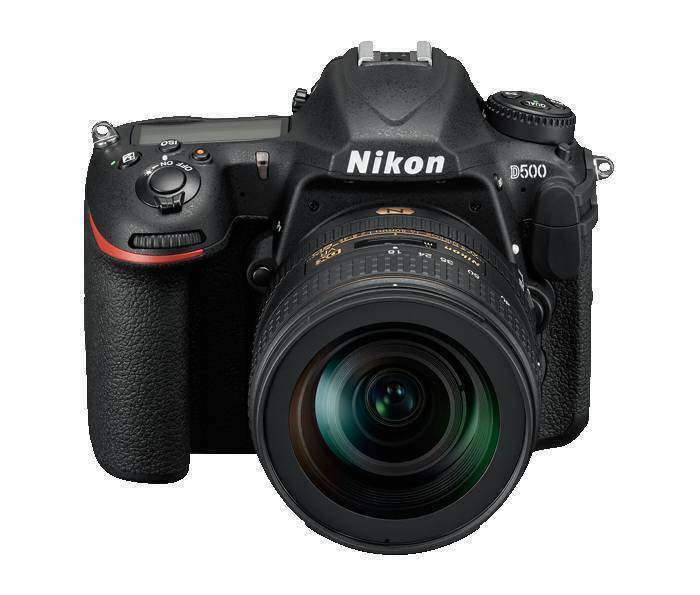 Nikon D500 will suit your action photography needs. This camera unit works perfectly for capturing crucial moments at sports ground with its fast adjustment features. Also, photographers that are looking forward to durable camera unit with high-end ergonomics will find it best choice for their routine needs, Nikon fastest DX DSLR ever. In case if you are a landscape photographer, this camera will not be able to provide you many satisfactory results. It cannot assist you to achieve desired resolution for landscape photography and at the same time may appear a little difficult to handle on the go due to little heavy finish. Also, if you are looking for dabbling video collection, Nikon D500 cannot support your needs. 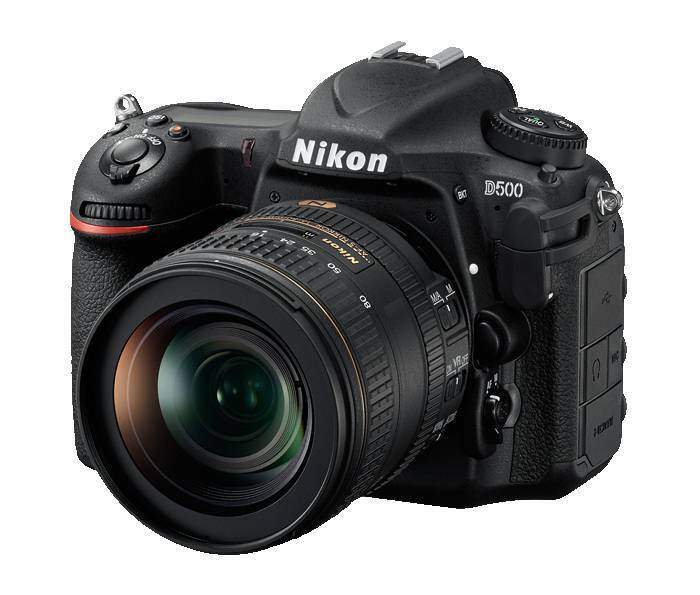 Nikon D500 presents all rounded performance with impressive results and they are proven to be best when compared to many other cameras in the same price range. It can help you to capture shots with more clarity and impressive colour balance. At the same time, solid design and large viewfinder bring it to the top of the choice list. You can expect high-performance service from this DSLR camera unit. The autofocus system of Nikon D500 is impressive and the wide ISO range offers great results for different light conditions. It can ensure you impressive results for sports photography by capturing deep colour balance and sharp details. You can place an order for this camera online at a budget-friendly range to avail fast delivery at your doorstep. Some of the links on this page are “affiliate links.” This means if you click on the link and purchase the item, I will receive an affiliate commission. Regardless, I only recommend products or services I use personally and believe will add value to my readers. Thank you for your support! For more information, visit my disclosure page. Award-winning instructor and professional wedding photographer Michael Andrew takes us on a step-by-step tour of the Nikon D500 in this training video. Michael Andrew’s unique approach simplifies SLR digital photography and shows students how to use simple techniques to take amazing photographs. Michael blends technical competence with artistic fundamentals in this truly unique training video. DON’T FORGET TO LIKE, SHARE, SUBSCRIBE! FOR MORE TIPS, TRICKS & SHORTCUTS! No spam, we respect your privacy. I don’t even know how I ended up right here, but I thought this put up used to be good. I do not understand who you might be but definitely you are going to a famous blogger in case you are not already 😉 Cheers! What is Shutter Speed in Photography? Photo And Tips Copyright © 2019.